It was three years ago this very day when G.O would once again step upon the Korean musical theater stage and make history by way of his poignant portrayal of the young and innocent Prince Ho Dong in the Seoul Arts production of 바람의나라 [The Kingdom of the Winds]. Inasmuch as I truly feel his role as Dong Ho in Seopyeonje was the pivotal moment in his career that made fans and critics alike sit up and take notice of his ability to command an important role in a masterpiece musical, his work in Kingdom sealed it. For today’s G.O One Shot, I honor him on the anniversary of his first performance as the delicate Ho Dong. With so many pictures captured of G.O during press calls and performances, it is difficult to choose one but as I intend on featuring Kingdom moments for at least the next week in honor of his amazing performance, I will no doubt flood those posts with many pictures. Today though, just one . . . I do not know who to give credit to for capturing and/or editing this gorgeous shot, but it has been one of my favorites since I discovered it. 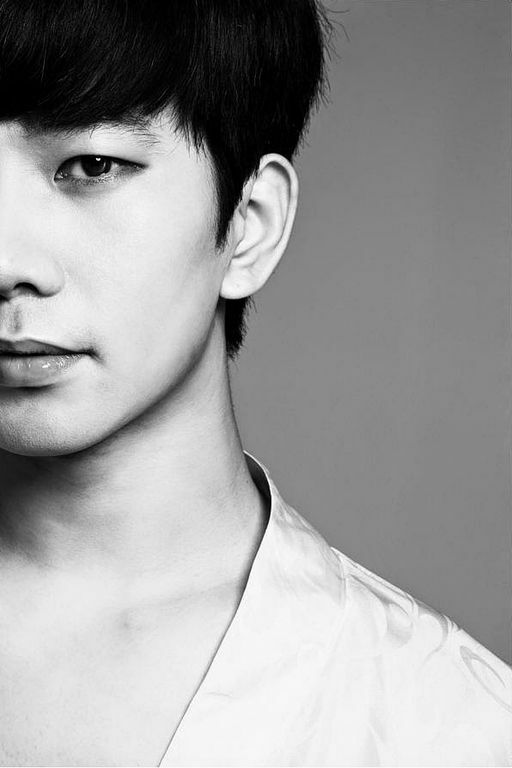 G.O’s haunting gaze made even more dramatic in black and white. And even though it is not a picture of his entire face, the composition is nevertheless artistically flawless. Categories: From The Korean Musical Stage, G.O Military Discharge, MBLAQ Musings, The G.O Files | Tags: 바람의 나라, G.O, G.O as Dong Ho, G.O as Ho Dong, G.O images, 정병희, 지오, Jung Byung Hee, Jung Byung Hee images, Korean entertainment, Korean Musical Theater, MBLAQ G.O, MBLAQ G.O as Dong Ho, MBLAQ G.O as Prince Ho Dong, MBLAQ G.O images, MBLAQ G.O Live Performance, Musical Actor G.O, Prince Ho Dong, Seopyeonje, Seopyeonje The Musical, Seoul Arts Center, Seoul Arts Group, The Kingdom of the Winds, The Kingdom of the Winds Musical, The Musical Seopyeonje | Permalink.